Join a busy, mixed billing practice in one of Queensland’s most popular regions. Our client has served the area for many years, and are passionate about delivering high quality health care. Their medical centre is widely recognised and respected throughout the medical community for its professionalism and commitment to quality service. You will join a team of established GP's and allied health professionals are also based on site. Accommodation and a car available for 4-6 weeks on arrival. Mackay is a city on the eastern coast of Queensland, Australia, about 600 miles north of Brisbane, on the Pioneer River. Mackay is nicknamed the sugar capital of Australia because its region produces more than a third of Australia's cane sugar and is the gateway to the mines producing coal. 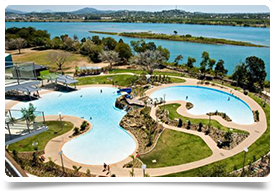 Mackay has a humid sub tropical climate and enjoys yearly temperatures of between 15 – 30 c.
The area is well serviced by schools, shopping centres and recreational facilities. The Great Barrier Reef is within easy reach and the Mackay airport has daily flights to Sydney, Brisbane and Melbourne as well as other Queensland regional cities.